The Smithwick Tribunal has been told that the former head of the RUC Special Branch in Newry travelled into the Republic to conduct clandestine operations. The RUC chief, known as Witness 27, told the Tribunal that he came to Dundalk to meet a source and had introduced Det Sgt Owen Corrigan to this person on two occasions. On the third time when they were due to meet, Mr Corrigan saw cars belonging to republicans in the area and told the RUC man they had to get out of there fast. They drove back to the Garda Station and Mr Corrigan then escorted him back across the border. On this occasion Mr Corrigan saved both their lives, the witness said. The now retired RUC Assistant Chief Constable said he trusted Mr Corrigan with his life and said the rumour machines in police forces were always churning out material. He said his superiors were aware that he had been meeting Mr Corrigan and his last meeting was on 28 February 1989, just a month before two RUC colleagues were killed in an IRA ambush. He also said he received reliable information that up to 32 members of the IRA were involved in the ambush which in which RUC Chief Supt Harry Breen and Supt Bob Buchanan died. They had just crossed the border back into Northern Ireland after a meeting in Dundalk Garda Station when they were ambushed and killed in 1989. 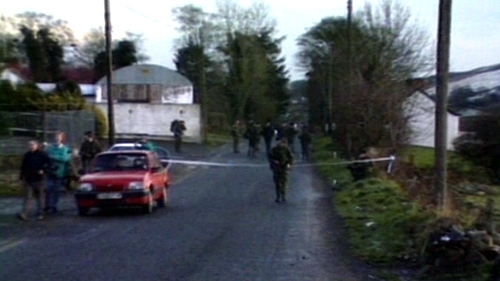 Judge Smithwick also heard that the Provisional IRA obtained information as a result of the ambush which allowed them to target other senior officers. It has always been claimed that nothing of value was taken from the remains of the murdered men. The former Assistant Chief Constable told the Tribunal that his phone number was in a diary carried by RUC Chief Supt Harry Breen. The witness said he had been due to travel with them but could not go because had had to attend another meeting at the last minute. The diary, which just had phone numbers and no names, was taken by the IRA. The night of the murders, the witness said he received five phone calls at his home asking 'who is this?' He didn't reply but got his ex-directory phone number changed. Within 24 hours the IRA had his new number, his home address and the registration number of his new car. Shortly afterwards he suffered the sixth attempt on his life. As a result he was moved to England. The Smithwick Tribunal is investigating claims that a garda mole alerted the IRA to the meeting in Dundalk Garda Station attended by the RUC officers on 20 March 1989. Three former gardaí, Det Sgt Owen Corrigan, Sgt Leo Colton and Sgt Finbarr Hickey all deny the allegations. Witness 27 also told the Tribunal that earlier in his career, he worked as the head of the RUC Special Branch in Newry and he described Owen Corrigan as a 'garda source' in his journal. The former RUC chief also spoke about the planned operation against Thomas 'Slab' Murphy which was the reason both Chief Supt Breen and Supt Buchanan went across to Dundalk. 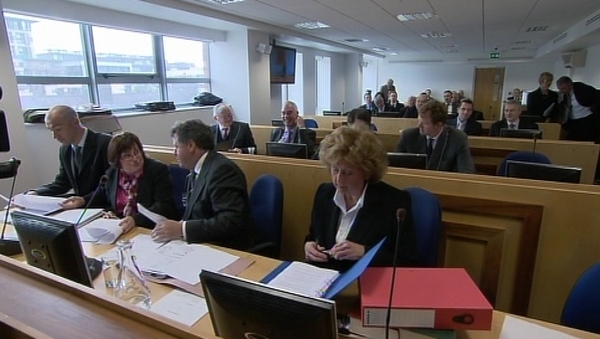 He said both he and Mr Breen were opposed to the operation as there were no solid information on which to base it. He said the then Secretary of State for Northern Ireland, Tom King, was told it was ill-advised and dangerous but he banged the table and said the operation would go ahead. The former Assistant Chief Constable broke down as he recalled the afternoon of the murders of the two men and how he was sitting in his office when the telex machine went off in the corner notifying him of two bodies on the border. He initially thought it was two IRA men killed by their own people but when he saw the number plate of the car he knew who had died. He also said he believed the IRA could have arranged the operation within half an hour and said he never had any doubt about the security of Dundalk Garda Station. The tribunal earlier heard there were serious concerns among senior gardaí that a Detective Sergeant based in Dundalk was involved in smuggling cars into the Republic from Northern Ireland. The Smithwick Tribunal was told that former Det Sgt Owen Corrigan had been forbidden from entering Drogheda Garda Station while he was on duty. Former Chief Superintendent John Nolan was back in the witness box this morning and giving evidence in relation to the disciplinary issues surrounding Mr Corrigan. Mr Nolan was the last person to meet Chief Supt Harry Breen and Supt Bob Buchanan in March 1989. Mr Corrigan is being investigated by the Smithwick Tribunal as a possible source of information to the IRA which led to their deaths. He along with the other former gardaí, Sgt Leo Colton and Sgt Finbarr Hickey, all deny the allegations. Despite his problems with Mr Corrigan, Mr Nolan said he did not believe the former detective was an IRA mole within the gardaí. He also admitted under cross-examination by Jim O'Callaghan, barrister for Mr Corrigan, that there was not enough evidence against his client regarding smuggling.